Taipei, July 1 (CNA) Taiwan on Monday expressed deep concerns over the move by a Japanese group to enter waters near the disputed Diaoyutai Islands in the East China Sea earlier in the day, and reaffirmed Taiwan's sovereignty over the island chain. In a statement issued late Monday, the Ministry of Foreign Affairs also urged all sides concerned to refrain from actions that could undermine peace and stability in the region. 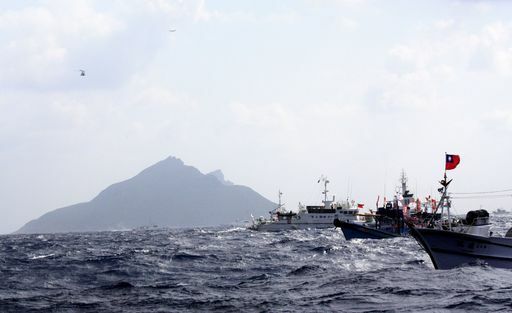 The statement came after media reports that four Japanese fishing boats carrying some 30 people, including incumbent and former Japanese lawmakers, entered the Diaoyutai area early Monday, where four Chinese surveillance vessels were spotted at the same time. From the perspectives of history, geology, international law, the Diaoyutais are an inherent part of the territory of the Republic of China (Taiwan), the ministry said. All sides concerned should recognize the existence of disputes and respond to the East China Sea Peace initiative proposed by Taiwan to address the issue peacefully, the ministry said. The peace initiative calls for all sides to shelve differences and jointly explore and develop resources. The Diaoyutais, called the Senkakus in Japan and the Diaoyu Islands in China, lie about 100 nautical miles northeast of Taiwan. They have been under Japan's administrative control since 1972, but are also claimed by Taiwan and China.